Our vinyl mini boxing gloves are a great way to show your pride, and look stylish hanging from your rear view mirror. The two gloves are connected with a plastic snap so they can easily be displayed together or apart. 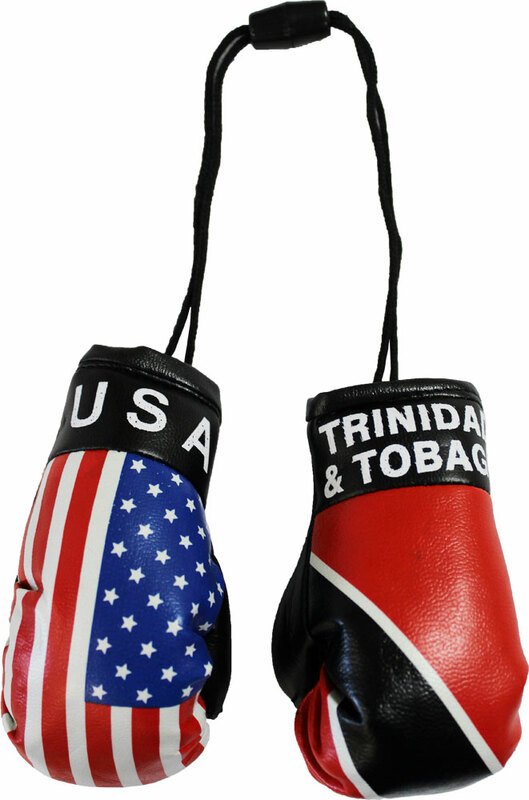 This set includes one USA glove and one Trinidad and Tobago glove.